Located at 471 Church St, Fuel+ is a must visit for anyone interested in delicious and nutritious healthy shakes, juices, and food at a price point that won’t break the bank. I first heard of Fuel+ last summer through one of our Tribe run club leaders who would select Fuel+ as our finish location for our weekend long brunch runs. After a year of connecting online and in person I was invited a couple weeks ago to sample the upcoming spring and summer menu – shakes, fuel balls, and coffee – oh my! They shared a variety of delicious new flavours that are perfect for summer, and as I’ve already mentioned at a very low price point. With over 20 flavours of healthy shake’s to choose from, someone might find it to be a tough decision, but for me there is no question – Mango Sunrise is my favourite Fuel+ shake. It’s made with mango, avacado, coconut, Vega sport protein and 100% mango juice – totally delicious for breakfast, especially if you like coconut. I love the fruity mango taste, the thick texture from the avacado, and the tiny pieces of coconut which shoot up the straw as you sip. And as an FYI, all their healthy shakes are plant based, gluten free, and made with real ingredients with no added sugar. Fuel+ is known for many of their delicious food items, but I believe the most popular is their Fuel Ball. 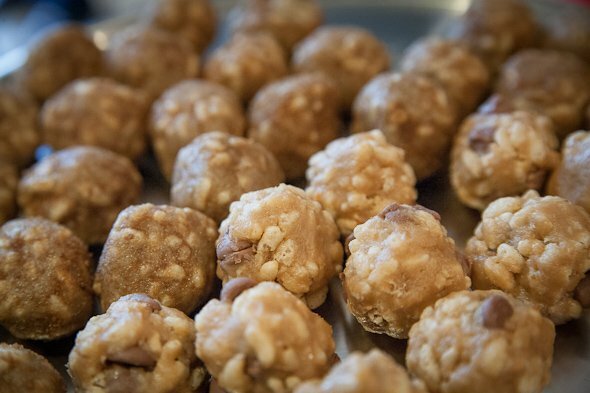 Made fresh daily, Fuel Balls are plant based and gluten free ingredients that range from a variety of flavours including organic peanut butter with chocolate and sunflower butter with cinnamon. Fuel+ also has a variety of seasonal FUEL Ball’s that are on rotation, changing every few months. Confession: I hate coffee. It’s sharp, bitter, harsh, and I have no interest in that flavour – so I put off having a Butter Coffee from Fuel+ for months. Now this wasn’t an easy task, because Fuel+ is well known in Toronto as THE place for Butter Coffee – it’s all you hear about through social media. So after a long delay, and countless positive reviews, how can I say no? What I didn’t realize was that the butter actually cuts that bitter taste making it taste smooth and mild. And what is also cool, is that you can order a Butter Coffee in store OR you can buy all the ingredients at Fuel+ and with a quick lesson make it at home. 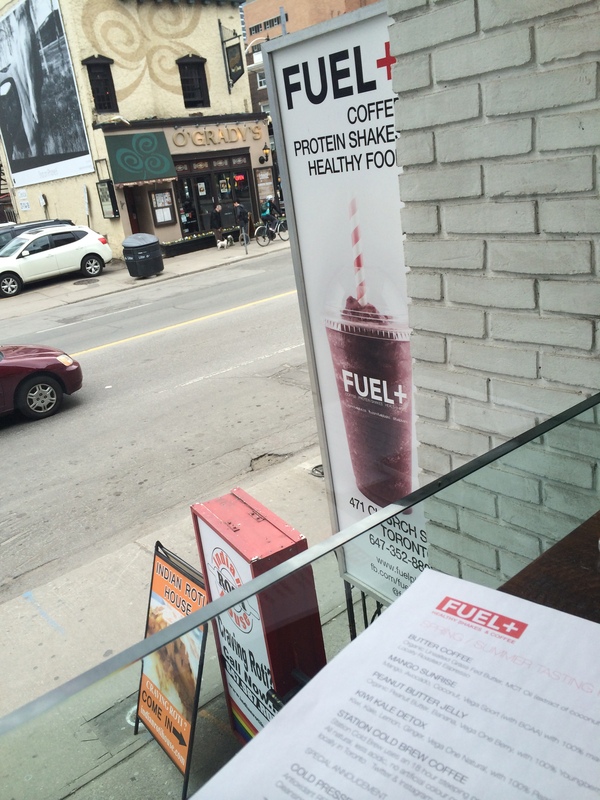 Fuel+ are also one of the few places in Toronto to offer Station Cold Brew Coffee. 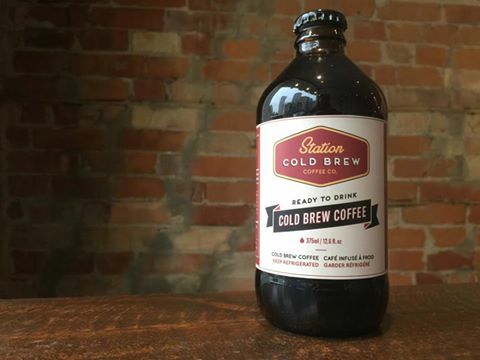 Perfect for folks on-the-go, cold brew coffee is great from the bottle or cover ice. Because it’s brewed with cold water it is less acidic and smooth, without a bitter taste. My coffee count went from zero cups to 2, thanks to Fuel+. 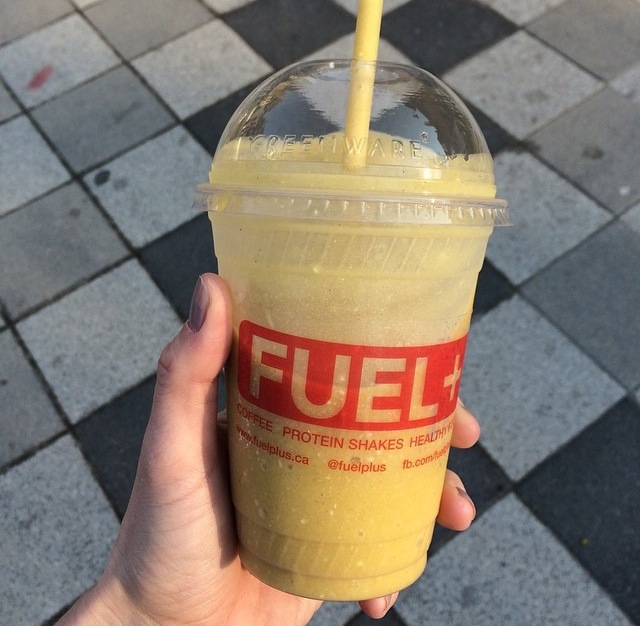 Looking for the perfect fuel after a run? Or meal on your way to the office? Check out Fuel+ for your next delicious and nutritious healthy snack and meal.